Way back in the Fall of 2016, Wisconsin's Black Thumb, aka Colin Wilde (Dusk, Tenement), released It Is Well With My Soul, a stunning album of Jesus and Mary Chain indebted jangle pop that balanced noise with triumphant melodies. The album is a gift of shoegaze's glorious beginning with a modern touch of detachment and bedroom recorded warmth. 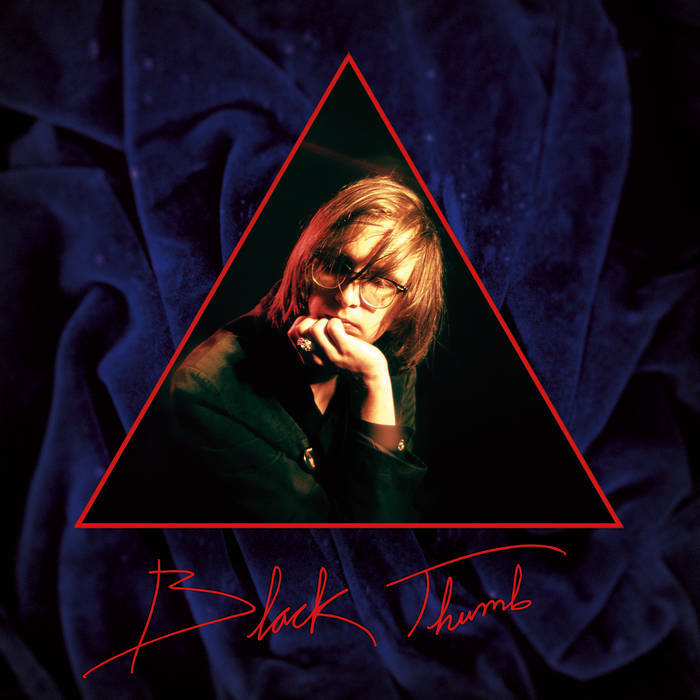 Following the album's initial release, Black Thumb has teamed up with JAC World, a new label started by Wilde with fellow members of Dusk and Tenement, to release the album on vinyl for the first time. In celebration of the record's re-release, Wilde and directors Johnny Beck and Matt Stranger created a video for album closer "It's Alright" with added visuals by Slow Normals. Built on psychedelic visions and shadowy performances, "It's Alright" captures the essence of Black Thumb, both colorful and dark, expansive in scope yet restrained in emotion. The track enters a state of calming hypnosis, slowly rolling out the groundwork of dreamy guitars, locked in electronic rhythms, pulsating without flinching. Wilde's vocals are alluring and simplistic in melody, the perfect wave of tranquility throughout the song's relaxed sprawl. Singing about life's tensions and stresses, Wilde reminds you "it's alright" and you'd be hard pressed not to believe him. Black Thumb's It Is Well With My Soul is out now on vinyl via JAC World.